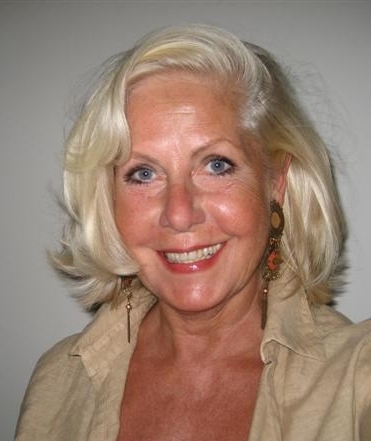 “Go With The Flow” By Joyce Balk | Marbella Marbella – Adelante! Due to lack of ‘ flow’ in Marbella at the moment I let it take me elsewhere namely to Switzerland and Italy. 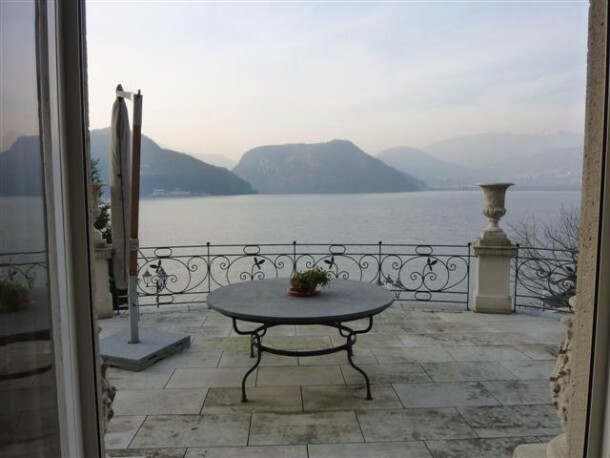 There were two interesting jobs for me, one a mural in a villa at lake Lugano and the other one interior design of a hotel in Florence. Both beautiful places so I felt lucky to be working there. After previous trips for preparatory works this time the executive part started. I first came to the villa at the lake to set up the mural. The impressive, nearly one hundred years old, Liberty style villa is situated directly at the lake. It’s solid structure, the calmness within, and the silence surrounding it give me a feeling of wellness . The unpolluted sound of silence, for me, is an absolute treat and a great work environment. After one week at the villa I left for Florence. Quite a difference of course. After the quiet setting in Switzerland I entered a vibrant city. Although low season there are always tourists and many fortunate students. The city stays lively twelve months a year . (and especially Saturday nights they seem to be all going out and having fun….loudly). But all of these fresh vibes don’t seem to be overpowering the vibration of ancient history and art throughout the city. Not even a deaf and/ or blind person could escape this sensation, I think. This visit though we were so busy working that there was hardly time for cultural excursions. For the love of God is a life-sized cast of a human skull in platinum, entirely covered by 8,601 ws to flawless pavé-set diamonds, weighing a total of 1.106.18 carats. Set into the forehead is a large pear-shaped diamond. The teeth are those of the original skull which was purchased by Hirst in London, and dates back to the eighteenth century. In the setting of The Palazzo Vecchio ( built in the late13th century, seat of the Signoria ,various town authorities and later the home of The Medici family) this scull seems to become more inspiring. On my way out of Florence I made a quick visit to the Palazzo Davanzati. 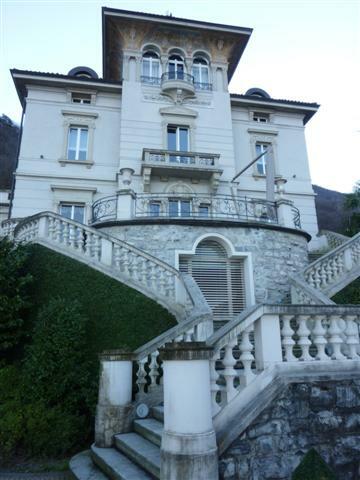 An ancient fourteenth century palazzo with an impressive facade, which was once the residence of the Davizzi family. 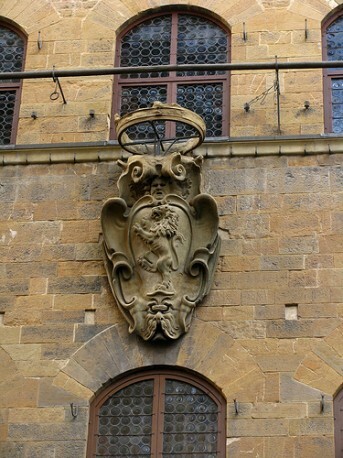 However it owes it’s name to another family, the Davanzati, who purchased it in 1578 and embellished the facade with a large coat of arms representing the crest of the dynasty. Palazzo Davanzati is a magnificent example of a medieval Florentine house. 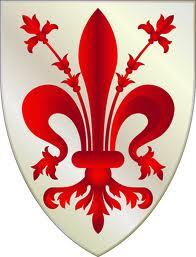 Although workwise this was a very interesting trip, the visit to Florence in December was more eventful. It showed me Florence in many unique ways. First of all there was a huge amount of snow and one could only travel on foot for several days. 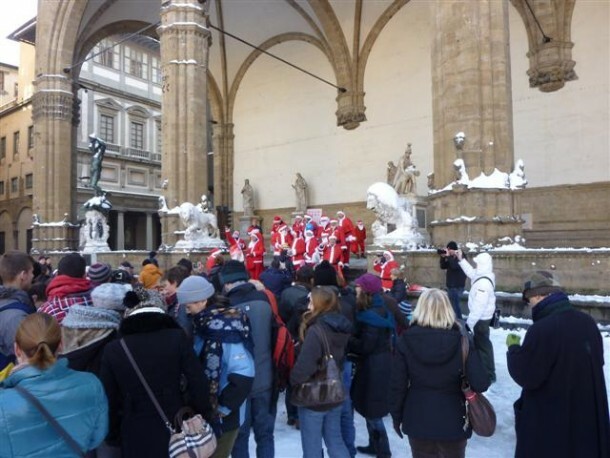 After the city got blocked completely, tourists and locals living in the center of town started to come out at night and gazed at the beautiful statues and buildings covered in snow. It was so beautiful…….. The next day humor set in ( I never thought it existed in Florence)………. 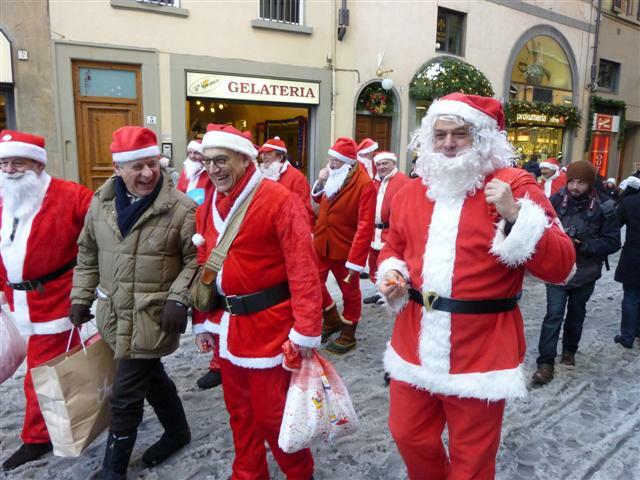 A group of men, all doctors, lawyers, professors etc., dressed up as Santa’s, paraded the old town, throwing candy around and Christmas caroling .Terribly of key but having so much fun..and so did the audience..
And then there was the Ponte Vecchio golf event. From the famous old bridge with all the jeweler stores , over the river Arno one was challenged to make a hole in one in one of the artificial greens floating on the river. ( This must appeal to some of the Marbellans..) The river bed must be paved with golf balls by now…..
A more traditional event was the Bronzino show at the Palazzo Strozzi. (until jan. 21) The extremely beautiful portraits of the the Medici family and other paintings were in show in a very elegant setting. I would like to tell you more about these works of art some time. Something to look forward to ! Disclaimer: The views, opinions and positions expressed within this guest article are those of the author Joyce Balk alone and do not represent those of the Marbella Marbella website. The accuracy, completeness and validity of any statements made within this article are not guaranteed. We accept no liability for any errors, omissions or representations. The copyright of this content belongs to Joyce Balk and any liability with regards to infringement of intellectual property rights remains with the author.